Last year, the Trail Blazers were the clear third best team in the West. The tiers in the Western Conference was clear last year. The Rockets and Warriors were the top two teams and the Blazers were on a lower tier. After that, the rest of the West was a mess. This year, the Blazers are part of the muddle middle of the West. Golden State is still on top with Denver following. After that, the Rockets, Thunder and Blazers are all fighting for the last two home court spots in the West. To end February, it seemed as if the Blazers got their groove and would assume third in the West again. They won five straight games incuding wins against the Warriors, Celtics and Sixers. Unfortunately, their last five games have been a let down. They lost to Toronto and OKC. To make matters worse, they dropped the ball against Memphis. 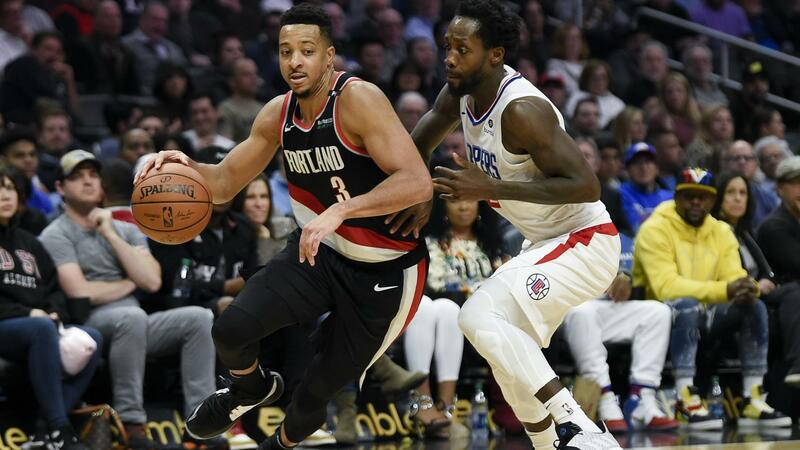 The Blazers needed a big win to get back on track and they got one against the streaking Clippers. The Blazers ended LA’s five-game winning streak and rise up the standings. The game was tight until CJ McCollum decided he was done playing around. CJ Mac erupted for 23 points in the fourth quarter to make the bulk of his game high 35 points. McCollum missed only one shot and nailed all four of his three-pointers in the quarter. He scored 13 straight points midway through the period to help the Blazers pull away for good. With that win, the Blazers are now tied with the Thunder and are only a game behind the Rockets for third. They’re looking to make a strong push to regain the third place spot they had last season. The Lakers needed someone to bolster their depleted roster. With Brandon Ingram and Lonzo Ball shut down for the season, the Lakers were looking thin. They decided to bring back a feel good story from last season. Andre Ingram suited up for the Lakers against the Bulls. He only played two minutes but having his good vibes on the roster was enough to remind the Lakers how to have fun again. Early in the game, it looked like the Lakers were going to continue with their losing streak. They fell behind by as much as 20 points. But things started to click in the second quarter. They got back within five points heading into the half and exploded for 43 in the third to take control of the game. LeBron James led the Lakers with 36 points, including two highlight dunks (and a shimmy). This win halts the Lakers’ five-game losing streak. This doesn’t do much for LA’s Playoff hopes. But at least they get a feel-good win to lift their spirits somehow. 3. Who did it better? …or Joel Embiid’s reach back put back dunk? 😂 @TJMcConnell’s reaction to this putback dunk by Joel Embiid!